Packaging is an extremely important part of specifying solder preforms. Not only does packaging affect the price of the order, it also effects how the individual preforms will be presented to your operators or automation. Most importantly though: packaging protects the products throughout shipment and storage. What good are the best products if they are ruined during shipping? Waffle – This packaging style is commonly used for small, high precision preforms. The “waffle” is typically a ridged, thermoformed polymer tray with a grid of pockets that align each solder preform for automated placement systems, although it can also be used during manual application of preforms. 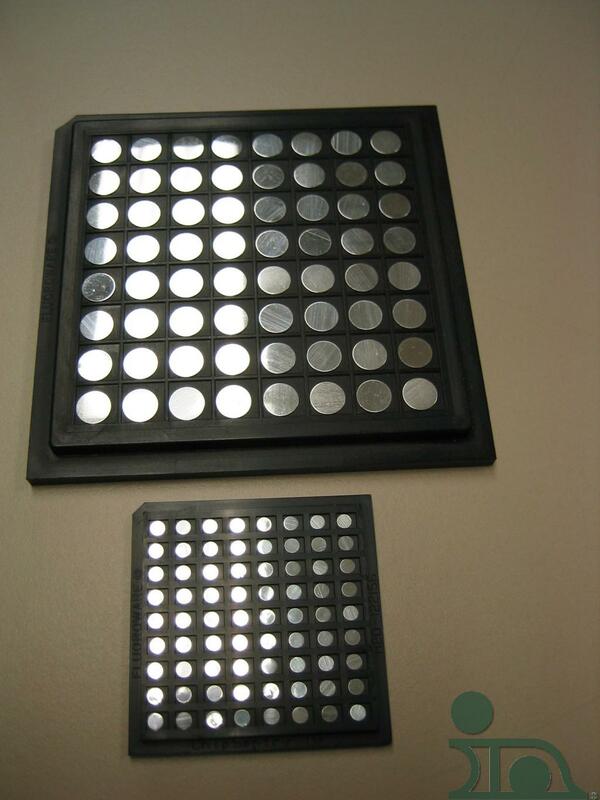 Many Au alloy preforms are packaged in waffle trays. 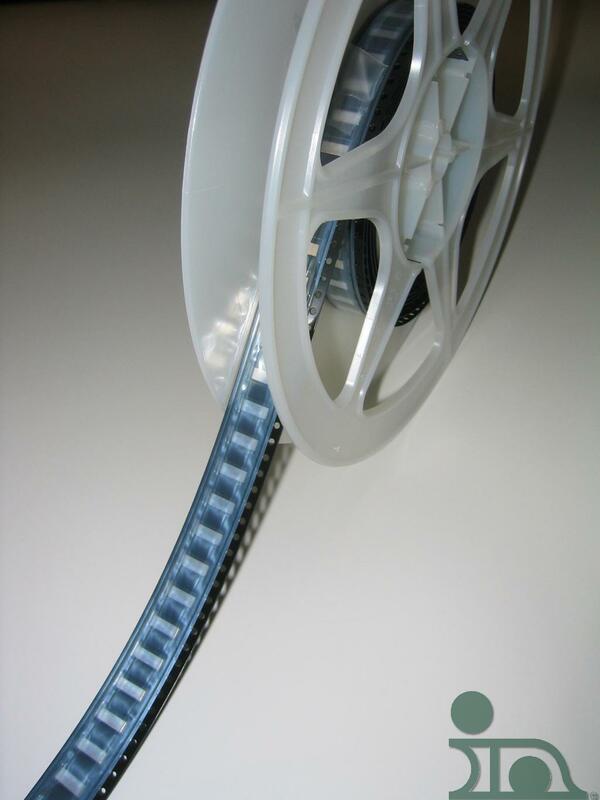 Tape & Reel – This packaging consists of a carrier tape with pockets to hold individual solder preforms, and a cover film which seals the preforms in place. For me, tape & reel packaging conjures up visions of automated pick & place equipment on an SMT line, feeding parts into high-volume manufacturing lines all across the world. This is how most high-volume telecom customers receive their parts. Stack – Packaging that layers the material so that it is very well protected from damage during even the worst shipping and still presents parts to the operator in an organized fashion. Bulk – If your solder preforms are made of a relatively hard alloy, if they are sufficiently thick enough to retain their shape, if there are hundreds of thousands or millions of parts in each order, and if you will be loading them into a hopper or vibratory feeder, then bulk packaging is probably the best and cheapest solution for you. Our sales staff can help you choose a packaging style based on the other factors of your order. However, you may want to decide ahead of time which packaging style will work best with the process you intend to use for application of your preforms.